This article is about the year 1646. Wikimedia Commons has media related to 1646 . 1646 ( MDCXLVI ) was a common year starting on Monday of the Gregorian calendar and a common year starting on Thursday of the Julian calendar , the 1646th year of the Common Era (CE) and Anno Domini (AD) designations, the 646th year of the 2nd millennium , the 46th year of the 17th century , and the 7th year of the 1640s decade. As of the start of 1646, the Gregorian calendar was 10 days ahead of the Julian calendar, which remained in localized use until 1923. 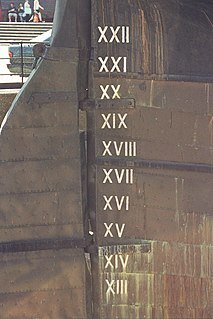 It is one of eight years (CE) to contain each Roman numeral once (1000(M)+500(D)+100(C)+(-10(X)+50(L))+5(V)+1(I) = 1646). February 16 – First English Civil War – The Battle of Great Torrington, Devon: Royalist resistance in the West Country is ended. February 28 – Roger Scott is tried in Massachusetts, for sleeping in church. March 6 – Joseph Jenkes obtains the first colonial machine patent, in Massachusetts. March 15 – Start of the Battles of La Naval de Manila, a series of five naval battles fought between the Dutch Republic and Spain in the waters of the Philippines. April 27 – King Charles I flees from Oxford. May 6 – American colonial poet Anne Bradstreet becomes a founding mother of Andover Parish (now North Andover), Massachusetts. May 30 – Spain and the Netherlands sign a temporary cease-fire in their war. 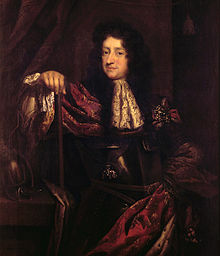 June 25 – The New Model Army of Thomas Fairfax occupies Oxford. February 16 is the 47th day of the year in the Gregorian calendar. There are 318 days remaining until the end of the year. The First English Civil War (1642–1646) began the series of three wars known as the English Civil War. "The English Civil War" was a series of armed conflicts and political machinations that took place between Parliamentarians and Royalists from 1642 until 1651, and includes the Second English Civil War (1648–1649) and the Third English Civil War (1649–1651). The wars in England were part of the Wars of the Three Kingdoms, being fought contemporaneously with equivalents in Scotland and Ireland. Many castles and high-status homes such as Lathom House were slighted during or after the conflict. The Battle of Torrington was a decisive battle of the south-western campaign of the First English Civil War and marked the end of Royalist resistance in the West Country. It took place in Torrington, Devon. July 30 – The English Parliament sets the Newcastle Propositions for King Charles I.
August 19 – English Civil War – Raglan Castle in Wales surrenders to General Fairfax, after a 2-month siege; it is later destroyed. October 28 – The first Protestant church assembly for natives is held in Massachusetts (see Waban). November 4 – Massachusetts enacts the death penalty, for denying the Holy Bible is God's Word. December 7 – Princess Louise Henriette (19) marries Frederick William of Brandenburg. December 21 – Global temperatures begin to decline, as part of the Little Ice Age. July 12 is the 193rd day of the year in the Gregorian calendar. There are 172 days remaining until the end of the year. Bredevoort or Brevoort is a small city with Town privileges of about 1600 inhabitants, located in the municipality of Aalten, Netherlands. It is situated between the towns of Aalten and Winterswijk. A castle is a type of fortified structure built during the Middle Ages by predominantly the nobility or royalty and by military orders. Scholars debate the scope of the word castle, but usually consider it to be the private fortified residence of a lord or noble. This is distinct from a palace, which is not fortified; from a fortress, which was not always a residence for royalty or nobility; and from a fortified settlement, which was a public defence – though there are many similarities among these types of construction. Usage of the term has varied over time and has been applied to structures as diverse as hill forts and country houses. Over the approximately 900 years that castles were built, they took on a great many forms with many different features, although some, such as curtain walls and arrowslits, were commonplace. 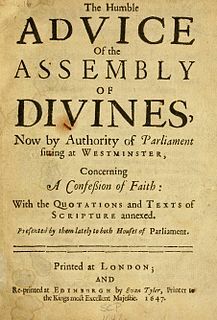 The Westminster Confession of Faith is published in England. The Westminster Confession of Faith is a Reformed confession of faith. Drawn up by the 1646 Westminster Assembly as part of the Westminster Standards to be a confession of the Church of England, it became and remains the "subordinate standard" of doctrine in the Church of Scotland and has been influential within Presbyterian churches worldwide. David Makeléer sometimes written as David Macklier, was the Governor of Älvsborg County, Sweden. 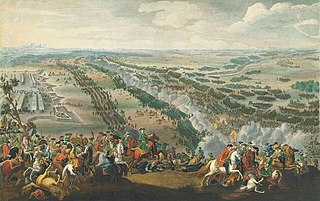 He served from 1693 to 1708. 1708 (MDCCVIII) was a leap year starting on Sunday of the Gregorian calendar and a leap year starting on Thursday of the Julian calendar, the 1708th year of the Common Era (CE) and Anno Domini (AD) designations, the 708th year of the 2nd millennium, the 8th year of the 18th century, and the 9th year of the 1700s decade. 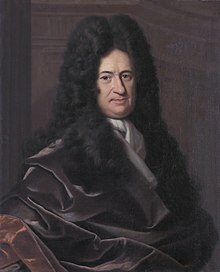 As of the start of 1708, the Gregorian calendar was 11 days ahead of the Julian calendar, which remained in localized use until 1923. In the Swedish calendar it was a leap year starting on Wednesday, one day ahead of the Julian and ten days behind the Gregorian calendar. Field Marshal Hermann Otto II of Limburg Stirum, count of Limburg Stirum and Bronckhorst, sovereign lord zu Gemen, was the son of Adolf Ernst of Limburg Stirum and an imperial Field Marshal. 1704 (MDCCIV) was a leap year starting on Tuesday of the Gregorian calendar and a leap year starting on Saturday of the Julian calendar, the 1704th year of the Common Era (CE) and Anno Domini (AD) designations, the 704th year of the 2nd millennium, the 4th year of the 18th century, and the 5th year of the 1700s decade. As of the start of 1704, the Gregorian calendar was 11 days ahead of the Julian calendar, which remained in localized use until 1923. In the Swedish calendar it was a leap year starting on Friday, one day ahead of the Julian and ten days behind the Gregorian calendar. 1690 (MDCXC) was a common year starting on Sunday of the Gregorian calendar and a common year starting on Wednesday of the Julian calendar, the 1690th year of the Common Era (CE) and Anno Domini (AD) designations, the 690th year of the 2nd millennium, the 90th year of the 17th century, and the 1st year of the 1690s decade. As of the start of 1690, the Gregorian calendar was 10 days ahead of the Julian calendar, which remained in localized use until 1923. 1640 (MDCXL) was a leap year starting on Sunday of the Gregorian calendar and a leap year starting on Wednesday of the Julian calendar, the 1640th year of the Common Era (CE) and Anno Domini (AD) designations, the 640th year of the 2nd millennium, the 40th year of the 17th century, and the 1st year of the 1640s decade. As of the start of 1640, the Gregorian calendar was 10 days ahead of the Julian calendar, which remained in localized use until 1923. 1680 (MDCLXXX) was a leap year starting on Monday of the Gregorian calendar and a leap year starting on Thursday of the Julian calendar, the 1680th year of the Common Era (CE) and Anno Domini (AD) designations, the 680th year of the 2nd millennium, the 80th year of the 17th century, and the 1st year of the 1680s decade. As of the start of 1680, the Gregorian calendar was 10 days ahead of the Julian calendar, which remained in localized use until 1923. 1630 (MDCXXX) was a common year starting on Tuesday of the Gregorian calendar and a common year starting on Friday of the Julian calendar, the 1630th year of the Common Era (CE) and Anno Domini (AD) designations, the 630th year of the 2nd millennium, the 30th year of the 17th century, and the 1st year of the 1630s decade. As of the start of 1630, the Gregorian calendar was 10 days ahead of the Julian calendar, which remained in localized use until 1923. 1612 (MDCXII) was a leap year starting on Sunday of the Gregorian calendar and a leap year starting on Wednesday of the Julian calendar, the 1612th year of the Common Era (CE) and Anno Domini (AD) designations, the 612th year of the 2nd millennium, the 12th year of the 17th century, and the 3rd year of the 1610s decade. As of the start of 1612, the Gregorian calendar was 10 days ahead of the Julian calendar, which remained in localized use until 1923. 1614 (MDCXIV) was a common year starting on Wednesday of the Gregorian calendar and a common year starting on Saturday of the Julian calendar, the 1614th year of the Common Era (CE) and Anno Domini (AD) designations, the 614th year of the 2nd millennium, the 14th year of the 17th century, and the 5th year of the 1610s decade. As of the start of 1614, the Gregorian calendar was 10 days ahead of the Julian calendar, which remained in localized use until 1923. 1621 (MDCXXI) was a common year starting on Friday of the Gregorian calendar and a common year starting on Monday of the Julian calendar, the 1621st year of the Common Era (CE) and Anno Domini (AD) designations, the 621st year of the 2nd millennium, the 21st year of the 17th century, and the 2nd year of the 1620s decade. As of the start of 1621, the Gregorian calendar was 10 days ahead of the Julian calendar, which remained in localized use until 1923. 1627 (MDCXXVII) was a common year starting on Friday of the Gregorian calendar and a common year starting on Monday of the Julian calendar, the 1627th year of the Common Era (CE) and Anno Domini (AD) designations, the 627th year of the 2nd millennium, the 27th year of the 17th century, and the 8th year of the 1620s decade. As of the start of 1627, the Gregorian calendar was 10 days ahead of the Julian calendar, which remained in localized use until 1923. 1628 (MDCXXVIII) was a leap year starting on Saturday of the Gregorian calendar and a leap year starting on Tuesday of the Julian calendar, the 1628th year of the Common Era (CE) and Anno Domini (AD) designations, the 628th year of the 2nd millennium, the 28th year of the 17th century, and the 9th year of the 1620s decade. As of the start of 1628, the Gregorian calendar was 10 days ahead of the Julian calendar, which remained in localized use until 1923. 1635 (MDCXXXV) was a common year starting on Monday of the Gregorian calendar and a common year starting on Thursday of the Julian calendar, the 1635th year of the Common Era (CE) and Anno Domini (AD) designations, the 635th year of the 2nd millennium, the 35th year of the 17th century, and the 6th year of the 1630s decade. As of the start of 1635, the Gregorian calendar was 10 days ahead of the Julian calendar, which remained in localized use until 1923. 1590 (MDXC) was a common year starting on Monday of the Gregorian calendar and a common year starting on Thursday of the Julian calendar, the 1590th year of the Common Era (CE) and Anno Domini (AD) designations, the 590th year of the 2nd millennium, the 90th year of the 16th century, and the 1st year of the 1590s decade. As of the start of 1590, the Gregorian calendar was 10 days ahead of the Julian calendar, which remained in localized use until 1923. 1709 (MDCCIX) was a common year starting on Tuesday of the Gregorian calendar and a common year starting on Saturday of the Julian calendar, the 1709th year of the Common Era (CE) and Anno Domini (AD) designations, the 709th year of the 2nd millennium, the 9th year of the 18th century, and the 10th and last year of the 1700s decade. As of the start of 1709, the Gregorian calendar was 11 days ahead of the Julian calendar, which remained in localized use until 1923. In the Swedish calendar it was a common year starting on Friday, one day ahead of the Julian and ten days behind the Gregorian calendar. 1699 (MDCXCIX) was a common year starting on Thursday of the Gregorian calendar and a common year starting on Sunday of the Julian calendar, the 1699th year of the Common Era (CE) and Anno Domini (AD) designations, the 699th year of the 2nd millennium, the 99th year of the 17th century, and the 10th and last year of the 1690s decade. As of the start of 1699, the Gregorian calendar was 10 days ahead of the Julian calendar, which remained in localized use until 1923. 1684 (MDCLXXXIV) was a leap year starting on Saturday of the Gregorian calendar and a leap year starting on Tuesday of the Julian calendar, the 1684th year of the Common Era (CE) and Anno Domini (AD) designations, the 684th year of the 2nd millennium, the 84th year of the 17th century, and the 5th year of the 1680s decade. As of the start of 1684, the Gregorian calendar was 10 days ahead of the Julian calendar, which remained in localized use until 1923. ↑ Williams, Hywel (2005). Cassell's Chronology of World History. London: Weidenfeld & Nicolson. p. 261. ISBN 0-304-35730-8. ↑ Google Books Geldersche volks-Almanack ... met dedewerking van vele beoefenaars der geldersche geschiedenis.